As a parent, should you be worried if your child needs to have a CT scan? CT (computed tomography) scans are special medical X-rays that make three-dimensional pictures. These are very useful in the diagnosis and management of health conditions and injuries. Their potential downside is, the kind of radiation from CT scans (ionising radiation), causes DNA damage that can increase the later risk of cancer. Scientists have known for a long time higher doses of radiation, as from the atom-bombings in Japan in 1945, lead to increases in cancer in later years. However, it has not been clear whether the much lower doses of radiation from CT scans could also be harmful. It’s important to answer this question because low-dose radiation from CT scans now makes very substantial contributions to overall radiation exposures in most populations. A single CT scan gives a dose of radiation that is roughly equivalent to a whole year of exposure from natural (background) radiation sources. In a recent study of almost 11 million young Australians, we showed that those exposed to a CT scan before the age of 20 had a small increase in cancer risk in the years after exposure, with one additional cancer for every 1,400 to 2,000 CT scans. So this means one CT scan would increase the possibility of a later cancer, but only by a very small amount – the absolute risk of an “extra” cancer for an exposed person is presently about one in 1,400 to one in 2,000. And it would not be possible to say, in a person who does get a cancer in the years after a CT scan, whether it was due to the CT or whether it would have occurred anyway. We can only calculate a probability of it having been caused by the CT. For those with a cancer after a CT in our study, the average probability was 0.16 (so a one in six chance) it was caused by the CT. However you look at it, the risk of cancer at young ages is small, and therefore the increase in risk due to CT, while real, is also small. Children exposed at the youngest ages were more vulnerable and experienced a greater proportional increase in risk. Our more recent findings, reported at a public health conference and not yet published, indicate most of the excess cancers in these age groups occurring more than two years after exposure have been caused by the radiation. If cancers appeared within two years of the CT scan, the more likely assumption is that early symptoms of cancer prompted the CT scan, which led to the cancer diagnosis. Most radiologists now accept the cancer risks are real, though very small. However, because of the value of CT scans as a diagnostic tool, it would not be rational or feasible to abandon CT technology because of the risks, just as we have not abandoned motor cars because of deaths on the roads. Nevertheless, the wide variations in CT use from country to country and from place to place indicates there is some overuse of CTs without corresponding clinical benefit. In childhood, the most frequent scenario is that of head injury: the attending doctor is likely to order a CT scan of the head to look for signs of a fracture or of bleeding around the brain that would be life-threatening if undetected and untreated. In past years many doctors have “erred on the safe side”, and ordered head scans for minor head injuries that were very unlikely to have such serious consequences. We now know that a small increase in later brain cancer is the typical risk following a CT scan of the head in a child. To reduce future risks, guidelines have been developed to allow minor head injuries to be managed by observation, and without the need for a CT scan. More generally, CT scans tend to increase the risk of cancer by a small amount in the organs examined, while CTs of the spine and abdomen can cause a small increase in leukaemia risk. Wider adoption of the relevant clinical guidelines which outline when a CT scan is really necessary, and when observation, or other tests are more appropriate will lead to a welcome fall in the number of unnecessary CT scans, especially in childhood. Advances in CT technology and practice will continue, allowing each CT scan to be done with the minimum radiation dose. The overall professional response has been to question the need for a CT scan for each child case, and to make the radiation dose as low as can be achieved while still giving a good diagnostic image. Concerned parents can inform themselves by consulting guidelines endorsed by professional bodies and governments, by asking their doctor whether the CT scan is really needed for their child, and whether there might be an available alternative diagnostic test. For adults and older patients, CT scans are used more frequently than for children, and cancer rates increase with age, even without radiation. This suggests that for older individuals the benefit to risk ratio for CT scans is better than for children. 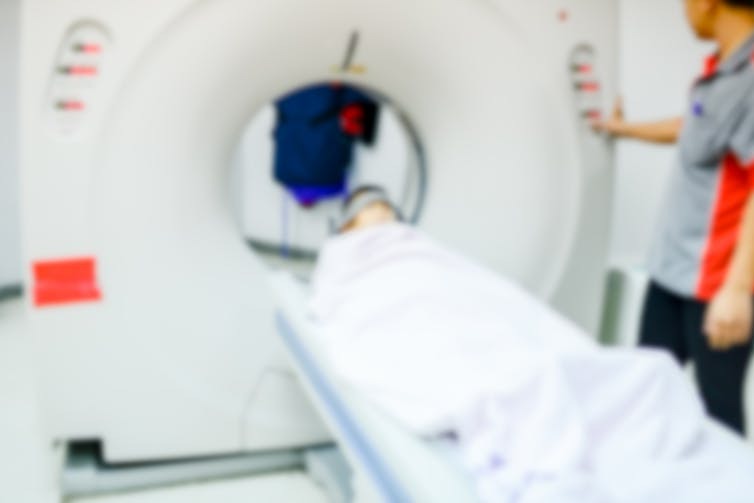 Nevertheless, because of the relatively high usage rates of CT scans in Australia, there is scope to reduce the numbers of unnecessary scans for adults as well as children. Accordingly, adult patients should also query whether each and every suggested CT scan is justified by the relevant clinical guidelines. Current approaches, involving patients and families, professional and regulatory bodies are helping to achieve a better balance between the risks and benefits of CT scanning as they are currently understood. Over time, new research evidence will support improved guidelines that can better optimise the balance of risks and benefits for each and every patient. It’s interesting that you can have CT scans done for your children. It makes sense that you would want to know if there is anything wrong with them! The fact that such small amounts of radiation are hardly threatening is a good thing to know.